An air purifier with the highly effective AEON Blue cleaning system – cleans indoor air more effectively than almost any other air purifier. 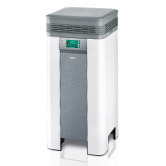 The AP15 combines HEPA, activated carbon, and plasma air cleaning in one compact unit. 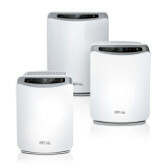 An air purifier for healthy indoor air – that’s what the AEON Blue™ cleaning system provides. Ideal for rooms of around 300 square feet. With HEPA filter, activated carbon filter, and selectable ionizer. 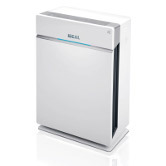 An air purifier for healthy indoor air – that’s what the AEON Blue™ cleaning system provides. Ideal for rooms of around 450 square feet. With HEPA filter, activated carbon filter, and selectable ionizer. 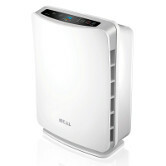 The professional air cleaner for hygienically pure air – in rooms of a size up to 400 square feet. Novel HEPA filter system with antibacterial coating and anti-odor filter. 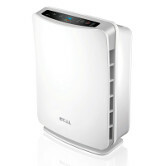 The professional air cleaner for hygienically pure air – in rooms of a size up to 1000 square feet. High-performance filter system, LCD touch screen, WLAN connection, and the corresponding app complete this machine making it the perfect source for clean air.